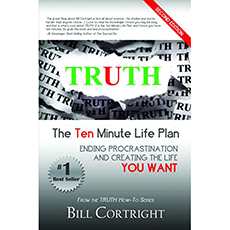 In its second edition, “Truth: The Ten Minute Life Plan” explores why we procrastinate and offers tools to help you overcome your limitations. Bill Cortright reveals the science of self-discipline and the success principles to create action. This book is intended to help you conquer your tendency to procrastinate.